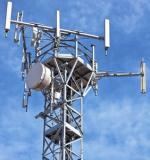 Nokia Siemens Networks has successfully demonstrated the TD-LTE using broadband wireless access (BWA) spectrum in India. Indian operator Vodafone Essar has named Ericsson & Nokia Siemens Networks as 3G suppliers. Vodafone had won spectrum in 9 circles during India’s 3G auction earlier this year. Indian state owned operator Bharat Sanchar Nigam Ltd (BSNL) has asked its broadband franchisee partners to set up a network that is capable of migrating to the LTE technology if required.